Update: Suttles next neighborhood meeting will be 10 a.m. to noon May 26 at Warren Sharon Road and Kimberly Street. 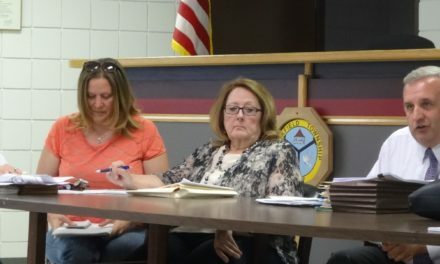 Flooded basements, fireworks, life on a dead end street, sewer and water service, young people moving away, tax assessments and truck traffic on residential streets were among the topics brought up at Brookfield Trustee Dan Suttles’ initial neighborhood meeting on April 21. 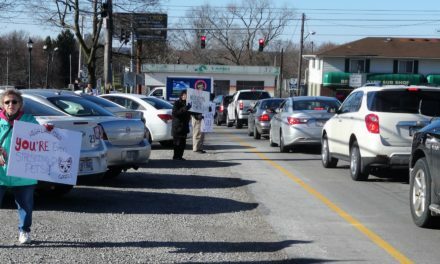 Living up to a campaign promise, Suttles set up a canopy at Broadway Avenue and Elm Street and invited residents to meet him and talk about township issues. Suttles had the gathering promoted as a trustees meeting in case colleagues Ron Haun and Gary Lees showed up. They did not attend. The idea is to bring government to the residents, he said. Not everyone can make the trustees’ regular meeting the first Monday of the month, or is comfortable addressing the board in such a public forum. “I want an open dialogue,” he said. The trustees have begun the process of putting a zoning resolution on the November ballot, and a couple of fence sitters asked him about the resolution. Suttles asked them to read it before making up their minds how to vote. Flooding was an important issue for several people. Ginger Letorneau, who lives at Miller and Second streets, said it seems to be getting worse. Judy Radachy showed photos of flood waters on Second Street, and told of water once being about a foot deep in her driveway. Her basement floods about twice a year and she said she probably has thrown away a couple Dumpsters full of items ruined by flood waters. She no longer stores anything in her basement, except for what she can put in rafter shelves, and has three sump pumps, she said. Letorneau thought a better job needs to be done cleaning out ditches, and Radachy said the storm drains are not enough below grade to pull water into them. When the flooding has been brought up over the years, the stock answer from officials has been that nothing can be done, Radachy said. Carol Rice said she just came out to see who would show up, and she engaged several people in a wide variety of conversation topics. 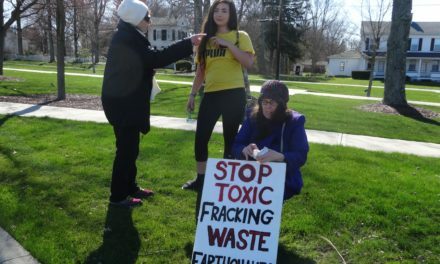 “The only complaint I have about this township is the damn weather won’t make up its mind,” she said. 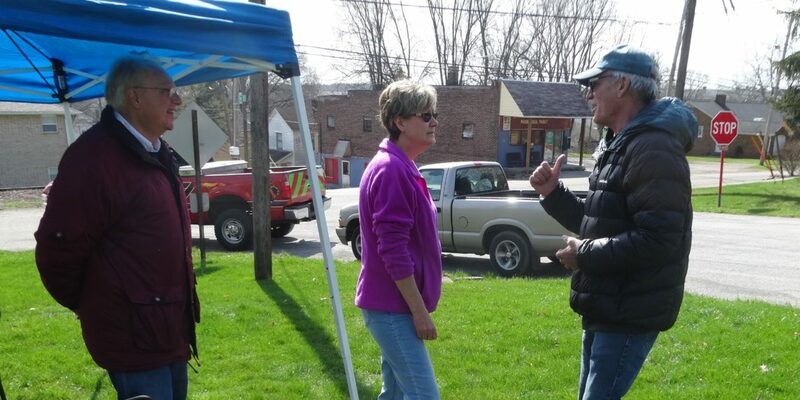 Anna Marie Shargo said she enjoyed the opportunity to meet with Suttles and the other residents who came out. “It’s nice because, even if there’s nothing you can do, it’s nice to voice it,” she said. For his first neighborhood meeting, Suttles was pleased with the nine people who showed up. So what’s zoning really like?